Ok, it’s an awful premise, the stuff of a Jennifer Aniston movie, and I was more than a little scared going into the cinema. In fact, this is a warm and rich movie, with complex well drawn out characters that feel real, even if the story doesn’t. It is also James Gandolfini’s second last movie ever, so what more reason do you need? It’s well worth watching, with some fine acting and interesting characters that really draw you in. 9. Nebraska – Director Alexander Payne rarely puts a foot wrong, and has worked on such gems as Sideways and the Savages. 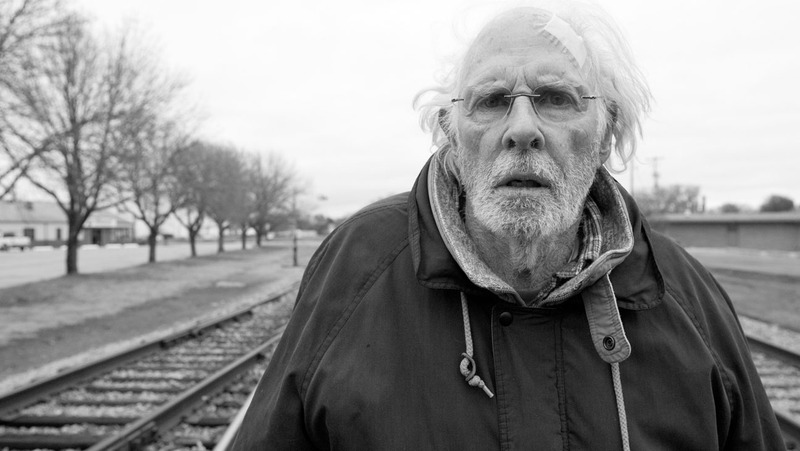 His latest film tells the tale of a aging man (Bruce Dern) who thinks he has won a million dollars in a sweepstake, due to a letter he got in the post. You know the ones ‘Congratulations, you have won…’, and you instantly throw them in the rubbish bin. For whatever reason, his booze filled brain or age, he chooses to believe that he has won, and drags his son on a trip to Nebraska, where things get a little complicated. It’s a sweet and sad tale or age and family. There is something powerful about a movie that makes you look on the world in a different way (at least for a little while) when you leave the cinema, and this movie had that sort of impact on me. Go to see it, for a sumptuous feast for the eyes! At times the plot surges along, and at other times, it dwells on single days of importance. There are a variety of scenes that could easily have been left on the cutting room floor, and no one would be the wiser, but the aim seems to be to capture a life, and not a story. It is basically a love story though, between Adele and Emma, and a study of life in France and of class. While I’m surprised this movie has received the reception it has, winning the Palme d’Or, it is a film that lasts with you. The film is 179 minutes, so you have plenty of time to get to know the various characters and have a good insight into their lives. While the subject matter does not sound that complex, the web the writers spin is fascinating to watch and it is done with a lot of humour and creativity. The film delves into morals and what lengths a teacher would go to, to allow a student to create something that could be great! While the ending to the film is slightly disappointing, and what could have been a great movie merely fizzles out, it is still an interesting and original piece that should be seen! 5. Act of Killing – I think this movie is not higher on the list as I just hated all the people in it so, so much. It is a deeply affecting documentary that tells the of executioners who killed hundreds of people in cruel and unusual methods. They are all living good lives with their wives and families, and are largely untroubled by their actions. It is a movie “that challenges former Indonesian death squad leaders to reenact their real-life mass-killings in whichever cinematic genres they wish, including classic Hollywood crime scenarios and lavish musical numbers.” Truly as bizarre as it sounds! Any black and white movie filmed in New York will have to bear the comparisons to Manhattan, and in truth there is a lot of Woody Allen in this movie, in the type of characters we meet and lives they lead, but this is a much more modern view of life and updated to our times. It is largely about the performances, and Grete Gerwig is charming as Frances, a dreamer and impossibly awkward young woman. Mickey Summers (a daughter of Sting, no less!) plays the role of the Sophie, Frances’ best friend, and creates a warm and well rounded character. This film will make you feel warm and fuzzy inside. Go enjoy! 3. The Great Beauty – This is easily the most stylish film of the year and creates a wonderful world of the art scene in Rome. While it is completely over the top, you can’t help but love it. The characters are wild and very funny, and Jep is the stone faced man with a heart of gold, even after all the years of wild excess. 2. Behind the Candelabra –Behind the Candelabra is the rather wonderful story of the tempestuous 6-year relationship between Liberace and his (much younger) lover, and it stars Michael Douglas and Matt Damon. According to the Oscars, this is not a movie, as it didn’t get a cinema release in the states. According to us, there was little better made this year! There are some fantastic performances from Douglas, Damon and Rob Lowe as the scary plastic surgeon. Yep, we couldn’t resist it. It would be nice if we could have a different number 1 from every other list, but it simply had to be! From our review. What to say about Gravity that hasn’t already been said? Possibly not much, other than to say, it is the first film that really works in 3D. They really captures the weightlessness of space, that things can’t stay still, but flutter around before your eyes. Bolts, toys and even tears slowly glide through the open spaces of the shuttles and stations they are on. The story itself is a bit limp, and the movie will be remembered for the cinematography and the style, which are dazzling. If you haven’t seen it already, find as big a screen as you can in 3D, and enjoy!